Lord RayEL Exposed – Confused over Jupiter, Moon and Venus. 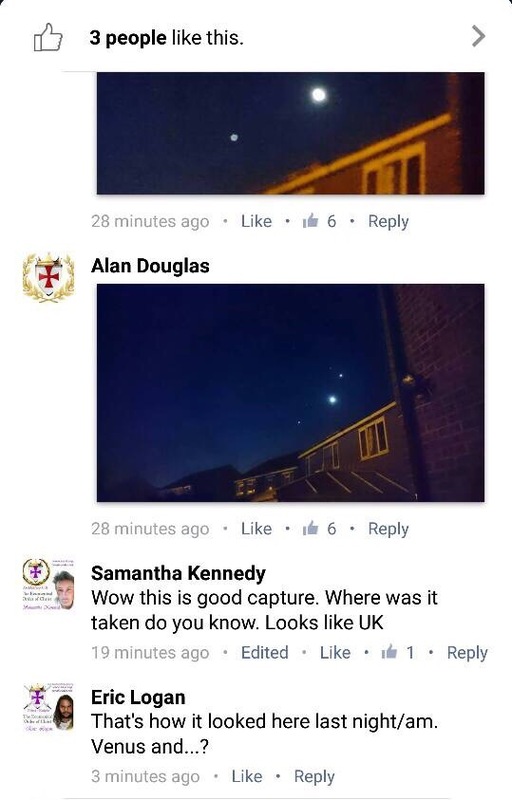 His Imperial Regent Alan Douglas (AD) commonly known as the wanted felon Raymond Lear AKA False Prophet Exposed Lord RayEL, is somewhat confused when looking at pictures of the night sky as he could not confirm what they were. 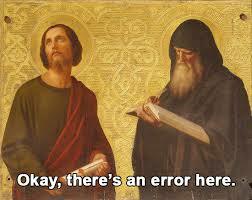 Obviously too stupid to check any online software. Please do not panic, we are not going to be hit by a big assed planet which these numpties at the Ecumenical Order of Christ would have you believe and quickly ask you to empty your bank accounts and send it all to their online paypal accounts. These are just the planets in our solar system. Jupiter, The Moon and Venus. According to Dazzathecameraman who has debunked Angelus Domini (Alan Douglas AKA Raymond Lear) countless times before, for his equally stupid false claims. See Birthing Lie. ‘It is indeed Venus (top), Moon (middle) and Jupiter (lower left). The Moon doesn’t look as bright in this simulation, but if you compare the apparent magnitude you can see that the Moon is much brighter (mag -10:35) than Venus (mag -4.48. The lower negative number is brighter’. ‘So yet again, Angelus Domini, supposedly the actual “Angel of the Lord” and not a mere mortal, cannot identify the two brightest planets in the sky. I guess he failed Angel school…. Many thanks to Mel Nibson and Dazzathecameraman for debunking this. What a mistake for one who claims to be an angel of one who claims to be the returned. Oh what a tangled web we weave when first be practice to deceive. God knows all of his creations by name. Very funny. This again highlights the amount of brainwashing that is prevalent in the group. Plus rather comical.